In some cases, OCD sufferers refuse to seek treatment for OCD, even though it’s having an adverse effect not only on themselves but also on friends and family members. 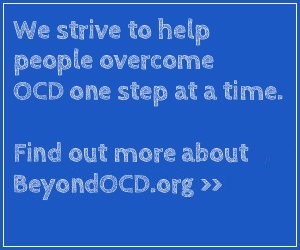 Some people with OCD downplay their symptoms or refuse to acknowledge that a problem exists. They may do very little to find help or even to learn about OCD. In fact, their friends and families may be expending far more time and energy trying to find a solution to the problem than they are. In other cases, people with OCD are very knowledgeable about their disorder and understand that effective treatment is available. But they still refuse to get treated. And if they do feel pressured into seeking therapy, they may not fully participate in the therapy process. The bottom line is that when OCD sufferers don’t commit to treatment, they can’t experience relief from OCD. This can be extremely frustrating for friends who want to see someone they care about recover from this disorder. And it can be all the more distressing for the person with OCD. Comfort with OCD: Rituals – whether they are observable or performed mentally – have become so familiar that they seem like a “normal” part of life. Fear of change: Some people with OCD are afraid to begin treatment because they feel a sense of safety and control over their symptoms with their current coping mechanisms. Control may be very difficult to give up. Insufficient incentive to get better: In general, people with OCD won’t seek recovery unless the incentive (something that pushes a person to act) to get better is stronger than the fear of getting better. Being unable to imagine life without OCD: Life without rituals seems too good to be true, or impossible to achieve. Fears related to treatment: The individual with OCD has fears about medication and its possible side effects or has fears of increased anxiety during treatment (e.g., the temporary increases in anxiety associated with CBT). Obsessing about the “perfect” treatment: The person with OCD gets “stuck” in a ritual of searching for the perfect treatment program or treatment provider and never actually begins treatment. Trying to have rational conversations or debates with him or her about the OCD behavior. If you’ve found yourself doing any of the above, you’ve probably learned by now that none of this will actually make OCD stop. In fact, participating in OCD rituals actually allows or enables the compulsions to persist and even become stronger. A second way in which friends and family members contribute to recovery avoidance is by minimizing the severity of the OCD sufferer’s problem. The message they’re sending the individual with OCD is essentially that he or she should be able to change his or her behavior simply because of something the friend or family member says or does by nagging, yelling, threatening, shaming, etc. Unfortunately, these tactics not only are usually ineffective but also may produce more fear on the part of the individual with OCD. Increased fear, in turn, may unintentionally strengthen recovery avoidance. If your friend has been resistant to learning about OCD, you may try to share as much of this information as possible with him or her, as well as other family members and friends who are interested. You may also want to bring OCD literature, DVDs, audiotapes, web site listings or other information and offer it to your friend. Or you may just want to leave it around — but in a strategic place — so he or she can review it alone. First, even though you may be extremely frustrated that your friend is avoiding recovery, try to be as understanding as possible. Just knowing some of the reasons why people with OCD avoid recovery may be helpful. Also, try to put yourself in your friend’s shoes by recognizing that most of us have avoided dealing with an unpleasant problem at some point in our lives. Judging the OCD sufferer as lazy, unmotivated, selfish or as someone who likes being sick will do nothing to help him or her change or seek help. Second, if you’ve been involved in your friend’s rituals, prearrange a time to have a discussion with him or her. During this discussion you’ll want to remind your friend that participating in the rituals may result in a temporary feeling of relief, but that it doesn’t help decrease the symptoms in the long term. In fact, it makes the symptoms worse. You’ll also want to discuss the ways you’ve been accommodating the OCD and how important it is to work together as you start to decrease your participation in rituals. Try to help your friend understand that you’re doing this because you care about and want to support him or her. You’re not doing this to be mean or spiteful; you want him or her to overcome OCD. The sole purpose of this discussion is to express your concerns and set some limits – not to nag or lecture. Third, it may be helpful to talk to your friend about support groups. He or she may be more willing to participate in a group (at least initially) than one-on-one in a therapist’s office. It might be helpful to offer to attend a support group meeting with your friend. Alternatively, give him or her information about online support groups (such as those at the end of our list of local support groups). Fourth, take care of yourself. It can be easy for you to become stressed by your friend’s OCD and lack of willingness to participate in treatment. But it’s important to remember that, although you can provide your friend a lot of support, you aren’t responsible for his or her recovery. And it’s also important for you to keep up your normal routine and activities with your family, at school, and with your other friends. When you take care of yourself, you’re in a much better position to help your friend with OCD. Fifth, you may want to consider attending a local support group meeting that is open to friends and family members of OCD sufferers (or an online support group) to learn how others in your position have influenced friends to commit to treatment. It’s very possible that people in your group may have had guidance from their loved one’s cognitive behavior therapist and can share their experiences and knowledge with you. A support group may also help you come to terms with and mange your own feelings and emotions.